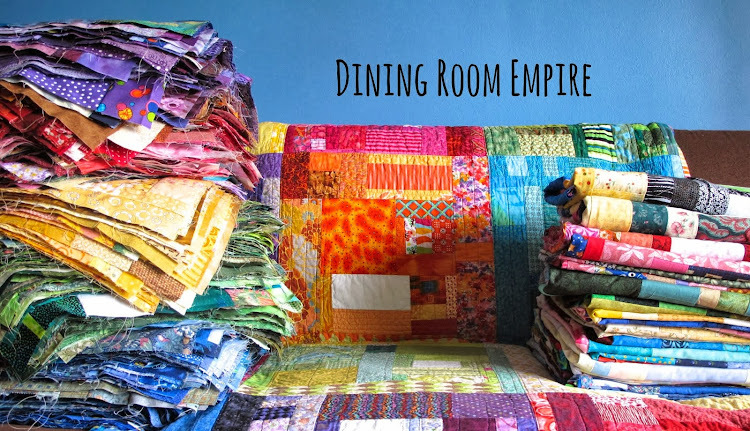 Dining Room Empire: Where to Start? 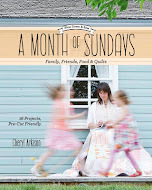 Back in March I left Amanda Jean's place with a great friendship and a pile of challenges. My challenge really, is figuring out which one to do first? 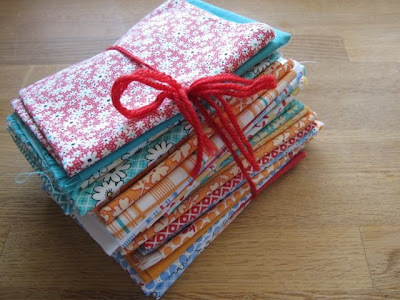 The fat quarter bundle was actually a treat from Bernadette at Traditional Pastimes. She got so exited while I was pulling fabric that she cut an identical bundle for herself. I'm quite intrigued to see what she does with her fabric. 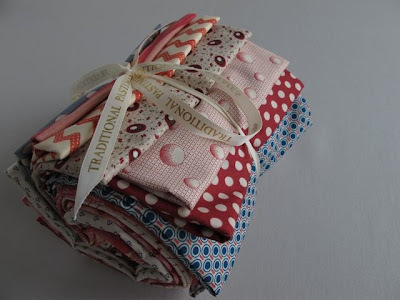 Here is another bundle from Traditional Pastimes in a gorgeous colourway. Some fabrics are quite bright, some more subdued. It should make for a perfect blend in a simple pattern. I'm thinking a variation on half square triangles, but nothing is set in stone yet. There could also be pinwheels. 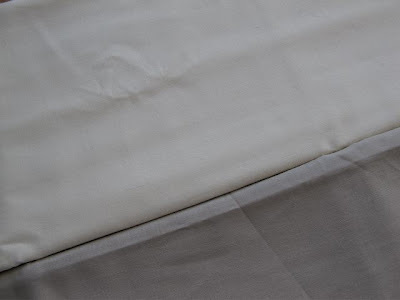 Then there are these two neutral fabrics. Just two fabrics. Nothing else. It's a quilting challenge. This one is very exciting to me. I actually got it sewn together and basted last weekend. It was my turn for a demo at guild so I used this as a sample for basting a quilt. Finally, before I left she gave me this stack of fabric from Connecting Threads. It's the Canning Day line. 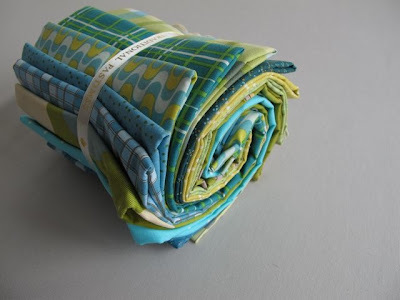 I think it will blend perfectly with some vintage feedsack prints I've got. 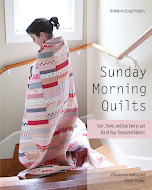 I already know that I'm going to make Amanda's quilt from Fresh Fabric Treats. I know, not me, right? But I love her pattern and I think the fabrics will be perfect for it. I actually really like all three stacks! Can't wait to see what comes of them! What a fun and diverse couple of stacks! I can't wait to see what you both do with them! Should be very interesting. I get to meet Amanda Jean in July. Can.Hardly.Wait! I'm glad you posted about this. I need inspiration to strike on all 3 fronts. 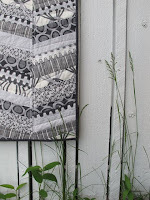 Especially the quilting challenge! Then, there are the plethora of WIPs already hanging over my head. I am making progress on that front. Hurray!